Masons like to acknowledge its notable membership. We are constantly reminded of the super stars of Famous Freemasons which include George Washington, Ben Franklin, Mark Twain, John Wayne, and Buzz Aldrin just to name a few. But, Freemasonry stretches much deeper into the soil of Americana and besides the heavy-weights there are many less well known brothers; the un-sung Famous or infamous members of the Ancient and Honorable Fraternity. Before we meet these distant Masonic relatives, we need to remind ourselves that it was not their gentle association with the fraternity that predicated their particular place in history. No, rather that is the product of their serendipity, morals and ethics, their natural skills and talent, their inspirational calling, and personal character. The man makes the history, not his affiliations. What ever their place in history, their presence still represents an aspect of our many fraternal facets – for better or for worse. 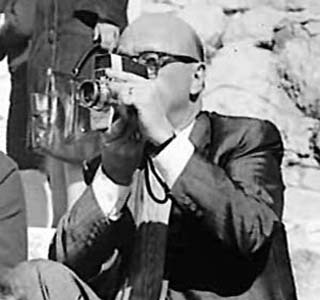 The Russian born American manufacturer of women’s clothing was the only person to document the horrific assassination of U.S. President John F. Kennedy as his motorcade passed through Dealey Plaza, in Dallas, Texas on November 22, 1963 which has since come to be the well known as the Zapruder Film. At the age of 15 Zapruder’s Russian-Jewish family immigrated to the US leaving a 1920’s Civil War torn Russia. Having only four years of formal education, Zapruder settled in Brooklyn, New York, where he studied English and worked as a pattern maker. He later moved to Dallas in 1941 eventually founding a clothing manufacturing company, whose offices were directly across the street from the Texas Book Depository. Zapruder passed in 1970 in Dallas. The prominent Democrat, and former chairmen of the House Ways and Means Committee, has been a United States House of Representatives member since 1971, representing the Fifteenth Congressional District of New York, and is the most senior member of that state’s congressional delegation. He is the founding member of the Congressional Black Caucus and a decorated Bronze Star and Purple Heart veteran of the Korean War. Born and raised in Harlem, he entered the service of the Army where he led a group of soldiers out of a deadly Chinese Army encirclement during the Battle of Kunu-ri in 1950. Following the war, he graduated from New York University in 1957 and St. John’s University School of Law in 1960, working as a private lawyer, Assistant U.S. Attorney, and legal counsel during the early-mid 1960s. He later served two terms in the New York State Assembly from 1967 to 1970, and then was elected to the House of Representatives. 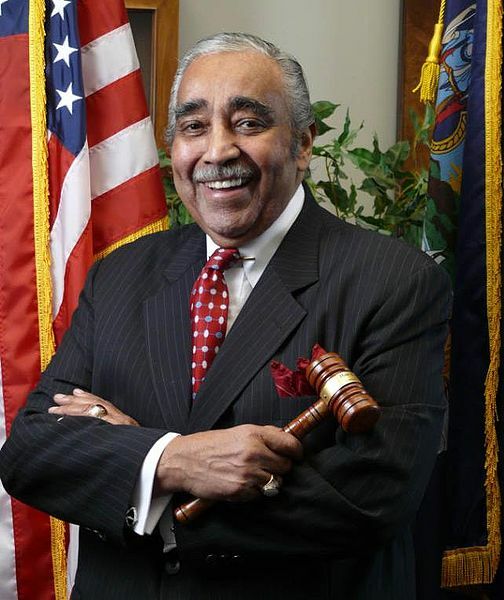 In recent years Rangel was faced with a series of allegations of ethics violations which culminated in July, 2010, where Rangel was charged with 13 counts of violating House rules and federal laws, to which he will face a formal trial in the House to determine his fate. 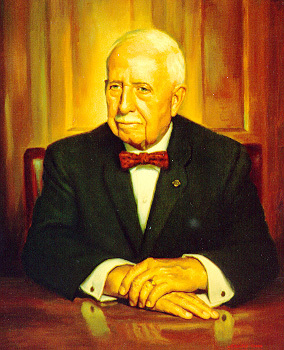 Born September 16, 1875, J.C. Penney was an entrepreneur who founded the J.C. Penney’s stores in 1902 after working for four years in a small chain called the Golden Rule stores. With an offer of partnership, Penney invested $2000 and opened a store in Kemmerer, Wyoming, with two additional stores in 1907, when be bought out his interest partnership in all three stores. By 1920, Penney had opened 120 stores and by 1929 he had opened 1400. In 1940, in a visit to a Des Moines, Iowa, store where he trained a Sam Walton on how to wrap packages, the founder of Wal-Mart. With the onset of the Great Depression, Penney was beset by financial ruin but met store expenses by borrowing against his life-insurance policies. He recovered from the financial setbacks but at the expense of his health, to give generously to a number of charities, eventually founding the James C. Penny foundation in 1954, later to be merged into the Oakland, California based Common Counsel Foundation, which partners with families and individual donors to expand philanthropic resources for progressive social movements. Penney received his degrees in Wasatch Lodge No. 1, Salt Lake City, Utah, April 28, May 19, and June 2, 1911. Buried at Woodlawn Cemetery in the Bronx, New York Penney passed February 12, 1971. This little known father of modern Air Conditioning was a man of many talents, including physician, scientist, inventor, and humanitarian, and the inventor of refrigeration, is also a man who suffered for what he believed in. 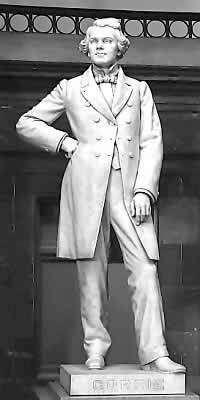 Born October 3, 1803 on the isle of Nevis in the Caribbean Sea, John Gorrie grew up in South Carolina, moving to the port city of Apalachicola in Florida in 1833. Being very active in his community, he was resident physician at two hospitals, and at various times a council member, Postmaster, President of the Pensacola’s Apalachicola Branch Bank, founding vestrymen of Trinity Episcopal Church, and served on the founding committee of the Masonic Lodge in 1835, where he was appointed secretary pro-tem on December 28, 1835, later serving as treasurer. Of his invention, following a Malaria epidemic in 1841, Gorrie resigned from all his civic responsibilities, lowered his patient load, and dedicated his time to the illness. Malaria, it was speculated, was from the rapid decomposition of vegetation and the hot humid air which created a poisonous gas. Gorrie, in addressing these issues, surmised that by filling in the low lying areas and draining swamps would be a way to combat the problem. His second prong to the cure was to develop a means to control his patient’s body temperature and the humidity in their rooms by the introduction of hanging ice above the sick beds. Ice at that time came by boat from northern lakes which were both inconvenient and expensive. To tackle the problem, Gorrie invented a machine in 1845 to cool air sufficiently to create ice, a patient to which was granted him in 1851. 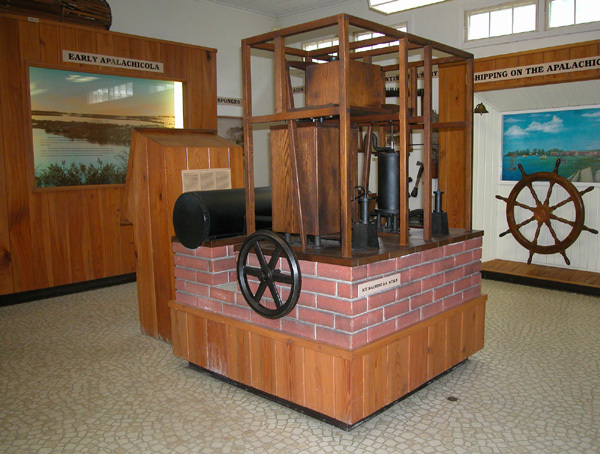 His device (a model of which is on display in Gorrie museum) compressed air in a chamber which then released it to expand rapidly, causing it to absorb the heat from water that surrounded the chamber drawing enough heat away from the water to bring the water temperature down below freezing creating ice. Despite the significance of his development Gorrie never made a penny from his invention. Instead he and his invention were denounced by Northern Newspapers and he was ridiculed his efforts. This was followed by a strong lobby against him by northern ice suppliers, who monopolized the ice market and feared lost profits. Gorrie fell into financial ruin when he was sued for unpaid debts and the unexpected passing of his only investor having never provided the funds to commercialize the invention. Falling into a nervous breakdown, Gorrie passed at the age of 54 on June 16, 1855. Modern air conditioning is still based largely on the principals discovered by Gorrie today, and was not re-discovered until 1902 by Willis Haviland Carrier. Born August 11, 1950, this co-founder of Apple Computer Inc, is probably not the paragon of why to be a Freemason, but his work outside of the fraternity is every bit reason to take note of his career and accomplishments. On the heels of selling off his and Steve Jobs possessions, the two collaborated to raise $1,300 to assemble the prototypes of what would become the Apple computer. Formed in 1976, Apple computer went public in 1980 and made both Jobs and Wozniak multimillionaires. After 12 year of founding his electronic empire and full-time employment with Apple, he ended his career on February 6, 1987 though he still receives a paycheck, and is a shareholder to the company. 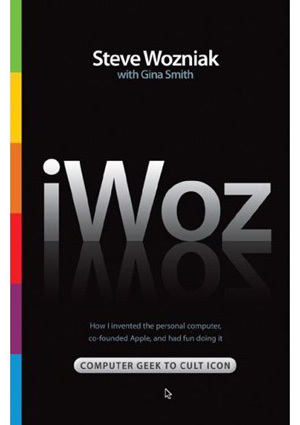 Wozniak has since gone on to write his autobiography iWoz, and found several companies in and around electronics and technology. 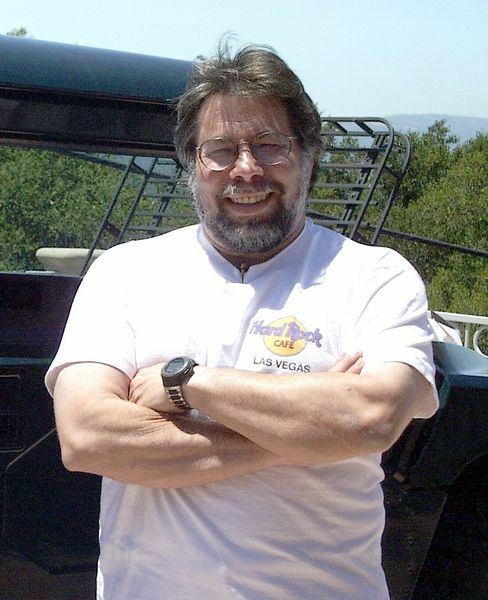 Describing his impetus for joining the Freemasons, Wozniak says he joined to be able to spend more time with his, then, wife Alice (married 1976–divorced 1980). Wozniak was initiated, passed, and raised in Charity Lodge No. 362, Campbell, CA, in 1980. Wouldn’t Charlie Rangel have been in Korea, not Viet Nam? Dan, good catch, and you are spot on. I’ve made the correction. To be fair, I had sent the link to my mom Jan, and it was she who caught the Korea/Viet Nam transposition. My family has a fun story about J.C. Penny. During the Depression, my grandfather fled the Dust Bowl by going on the road. Although I don’t remember him saying specifically that it was Wyoming, he told of going in to “the original J.C. Penny store” and asking whether he might do some work to earn some money to buy a stamp so he could write his mother in Oklahoma. The clerk who was on the floor went and got Mr. Penny and told him about this young man who wanted to work and why. Mr. Penny came out himself and just gave him the stamp since he was willing to work for it and wanted to write to his mother. I was surprised and a bit disappointed to see Steve Wozniak, such a creative and elevated thinker, to refer to ALL Masons with such a broad generalization. I stongly belive that those brothers who became famverous may have been helped by the brotherhood to their fame as there are so many other famous men who were never masons. I agree. When I stumbled onto the comment, I was a little shocked by it. It seems he had little regard for it. I’m not surprised by Woz’s comments – in general 90% of the Masons I know fall into that category. Thankfully I’ve been able to meet enough like-minded Masons to keep my local interest. I’ve always been a fan of the Woz, the fact he’s a Brother, nice to know, but I’m a little puzzled, unless his former wife was Eastern Star, how would he spend more time with her? Any Mason knows, unless the wife is active in the Blue Lodge, the men are more so away at night… I’ve not read iWoz (on the to-do list) but perhaps somebody can shed some light? If memory from IWoz serves, his wife was in Eastern Star, which is why she spent so much time there. @ Dustin…..Agreed. He came off sounding very flippant about Masons in general. If that’s honestly why he joined, it’s very disappointing to hear. According to Masons of California, http://www.freemasons.org Steve Worniak is a member of Lodge 362. Initiated, Passed and Raised in 1979. We all join the Fraternity for our own reasons. Some for the esoteric, meeting good men, Brotherhood and fellowship and some because of family. Cliques also exist in most lodges. It also seems a smaller percentage of brothers in any one lodge are the ones who take care of everything. Undoubtedly you and I were not considered a valuable enough petitioner for the first rule of Freemasonry to be ignored in order for us to be made a Mason. We had to express a belief in God to be considered to be a Brother. Why is that a main requirement? Because your oath with hands on the Bible means nothing if you do not believe in the Deity. The following line is a direct quote from Wikipedia about so our called “Brother?” Steve Woznak. How can we call him Brother if his Masonic oaths meant nothing to him.